Support and Resistance are the important price levels to watch out during intraday market. These price levels are often tested before development of new trend or often stop the existing trend causing trend reversal at this point. Highly precise support and resistance are indispensable for experienced traders. Many typical trading strategies like breakout or trend reversal can be played well around these support and resistance levels. The Precision Support and Resistance are highly accurate support and resistance tools designed for serious traders. 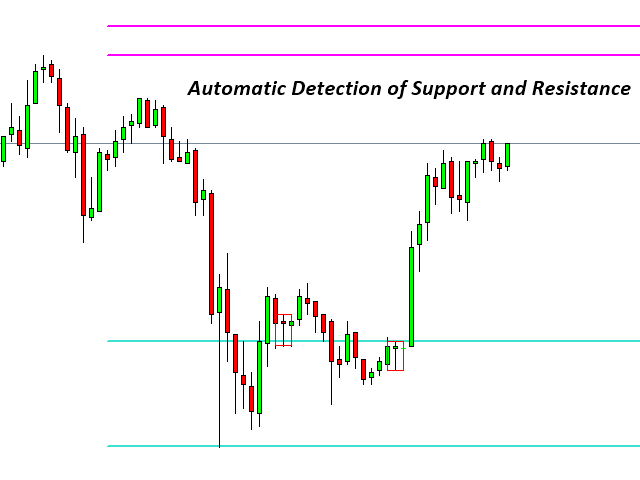 In addition to accurate support and resistance level detection, the Precision Support and Resistance provides additional four features to aid your winning trading. 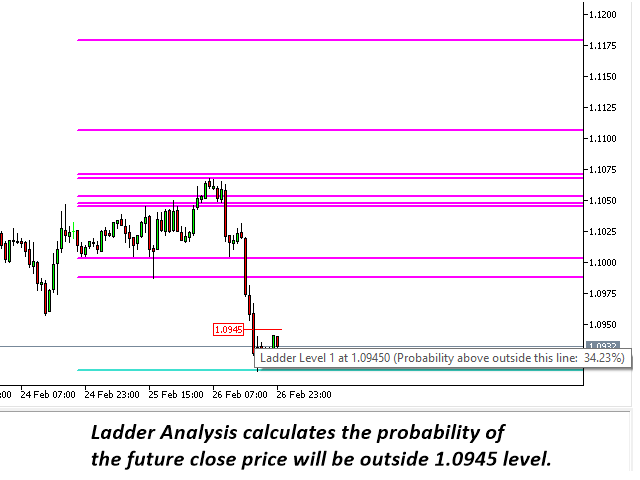 They include decision candle detection, Intra Candle Probability Calculation, Pivot Analysis and Ladder Analysis. Any of these features can be switched on and off for your preferences. 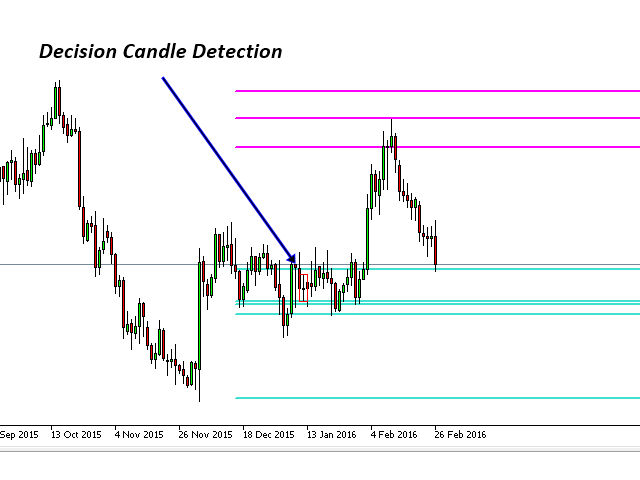 Intra-Candle probability is the statistical prediction of future range of close price for projected horizon. This tool will display 1%, 5%, 10%, 32%, 50%, 80% levels. The pair of lines will be drawn above and below the open price of the current candle. 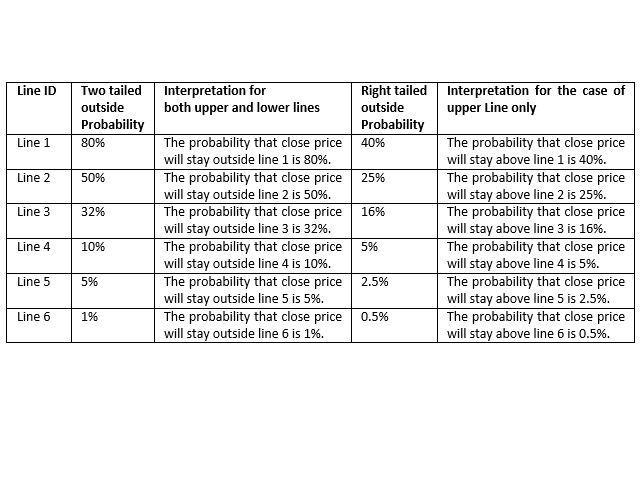 50% probability means that the chance of the close price being outside this lines is the 50% from open price of the candle. Instead of doing some guess work, you can precisely estimate when the price will touch support and resistance level or when the price will touch moving average line or when the price will touch Bollinger band lines, etc. We added the standard pivot analysis technique. Pivot analysis can be used in two purposes. 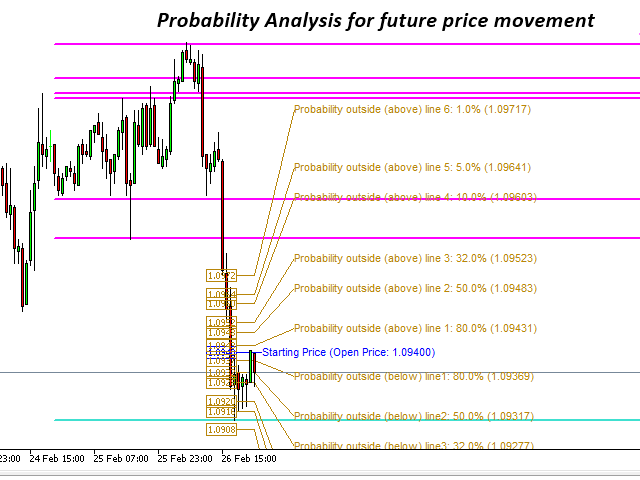 First, you can use pivot level to double confirm support and resistance levels. Second, you can use pivot level to confirm rough trend if that is your interest. For example, if price closed below S1 or S2 yesterday, then you can say that current trend is downmarket. 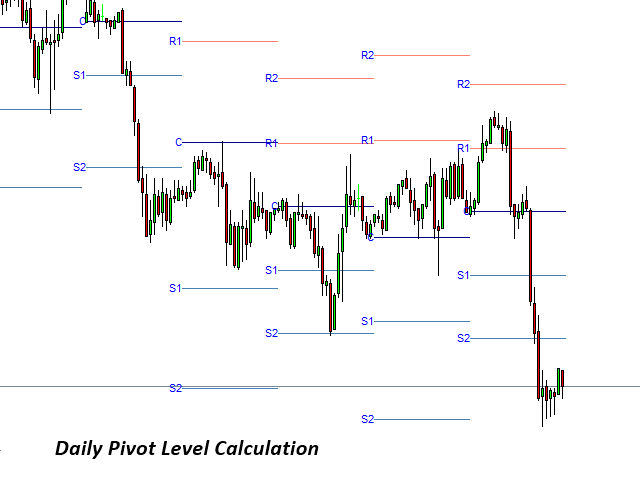 The built in Pivot analysis provide daily pivot only and you can choose how many number of days you want to display the pivot levels. Default setting works well for most of currency pairs and timeframes. 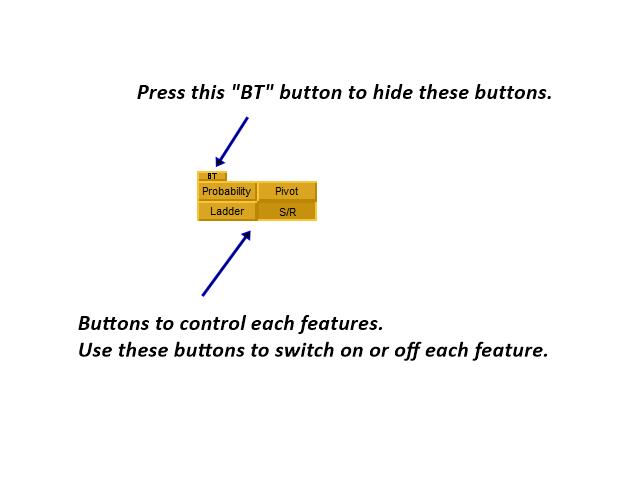 Changing input parameters are extremely simple and self explanatory as usual. Most of time you will use default settings. You can use this Precision Support Resistance alone to perform breakout trading strategy or trend reversal trading strategy. This tool can be applied to any timeframe with varying performance level. Additionally, you can use following products to yield excellent trading performance, too. However, adding these tools are optional. You must do so only after you are familiar with Precision Support Resistance tool. In version 7.2, the support and resistance levels are extended to the middle of chart. In the version 6.8, You can draw round number at the background. Set Round Number Spacing to zero if you don't want to see these round numbers from your chart. 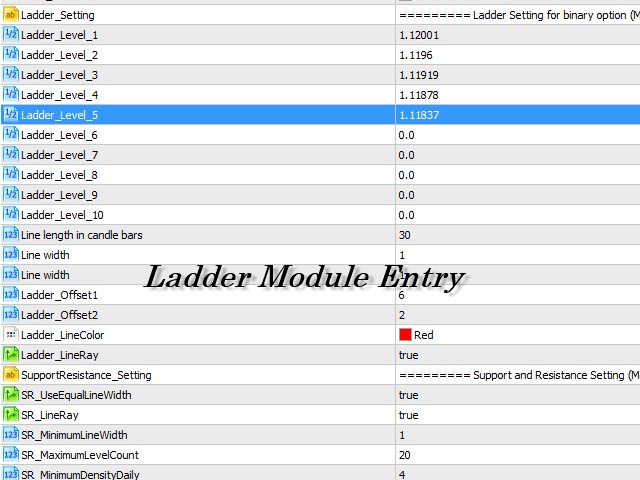 In version 6.7, Ladder Probability Inquiry can be extended for multiple bars. The projection length can be controlled using Projection Horizon variable just like in Probability Module.